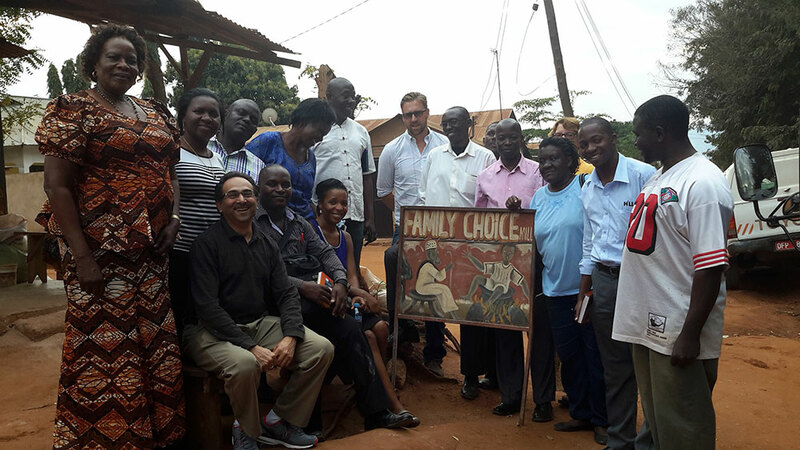 The team sought to learn about the implementation of the Sanku project and to identify how the Sanku technology can be introduced in Uganda. 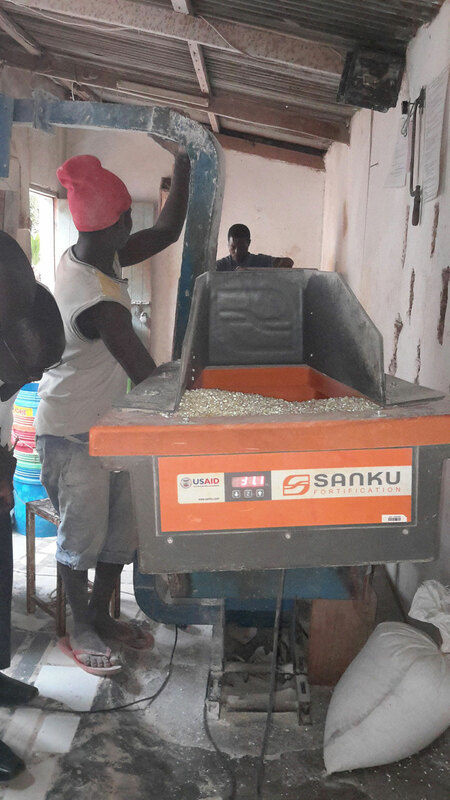 In Morogoro Region alone, 52 small-scale millers use the Sanku technology. The Sanku project has been supported by USAID/Tanzania, Feed the Future initiative. Maize flour is consumed by 58 percent of households country-wide daily. 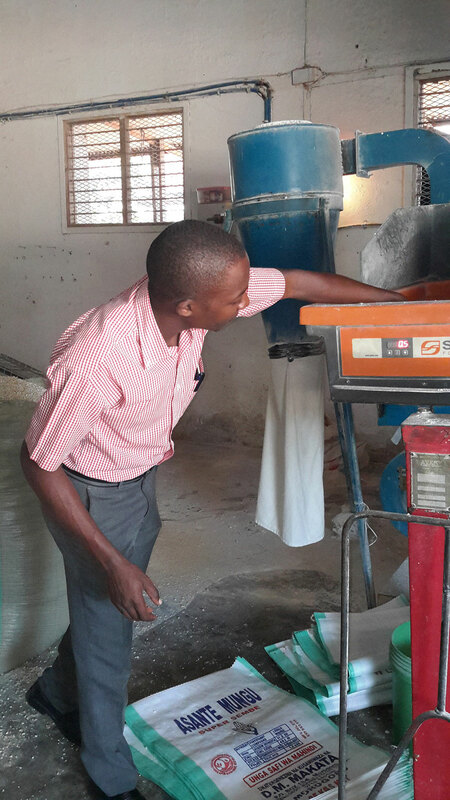 Most flour is purchased from small- and medium-scale millers who are strategically located near their homes. These same millers also supply schools, making them excellent targets to adopt fortification. However, fortification is challenging for small- and medium-scale millers, as the current fortification technology in Uganda favors the few large-scale millers who can afford expensive equipment. This is where Sanku comes into play. 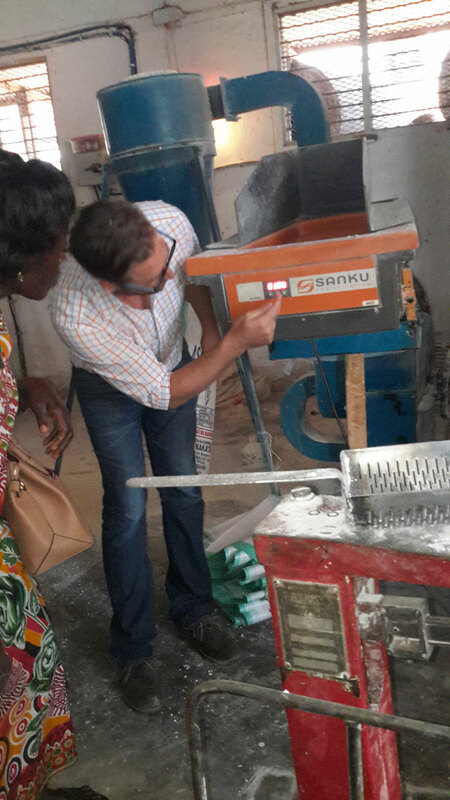 Sanku is an affordable technology that enables small- and medium-scale, village-level mills to cost-effectively fortify their flour. The machine is relatively user-friendly, with most of its operations fully-automated. It is designed to store and retrieve production data, such as the volume of flour milled and the amount of premix added to the flour in a given period of time. This gives millers a better insight into their businesses and helping to improve operations. This video, an informal training session on the Sanku technology, shows some of its features. Building off this successful model, an activity to map maize millers to identify the number and scale of millers in Uganda was added to the work plan of SPRING/Uganda. This is an initial step towards adopting the Sanku technology in Uganda that is being done in partnership with PSFU. If small- and medium-scale maize millers are able fortify their flour, it could have an important impact on nutrition in Uganda.